Because of God’s plan and the Atonement of Jesus Christ, we can be cleansed by the process of repentance. In mortality we are subject to the laws of man and the laws of God. I have had the unusual experience of judging serious misbehavior under both of these laws—earlier as a justice of the Utah Supreme Court and now as a member of the First Presidency. The contrast I have experienced between the laws of man and the laws of God has increased my appreciation for the reality and power of the Atonement of Jesus Christ. Under the laws of man, a person guilty of the most serious crimes can be sentenced to life in prison without possibility of parole. But it is different under the merciful plan of a loving Heavenly Father. I have witnessed that these same serious sins can be forgiven in mortality because of our Savior’s atoning sacrifice for the sins of “all those who have a broken heart and a contrite spirit” (2 Nephi 2:7). Christ redeems, and His Atonement is real. The loving compassion of our Savior is expressed in the great hymn just performed by the choir. 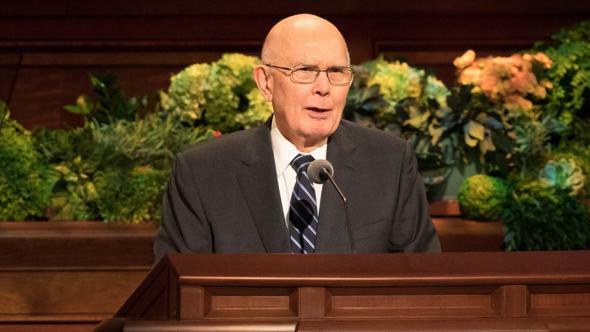 Some of the greatest teachings on repentance are in Alma’s Book of Mormon sermon to members of the Church whom he later described as having been in a state of “much unbelief,” “lifted up in … pride,” and with hearts set “upon riches and the vain things of the world” (Alma 7:6). 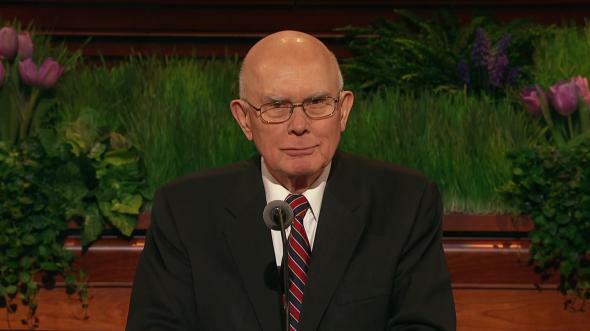 Each member of this restored Church has much to learn from Alma’s inspired teachings. We begin with faith in Jesus Christ, because “it is he that cometh to take away the sins of the world” (Alma 5:48). We must repent because, as Alma taught, “except ye repent ye can in nowise inherit the kingdom of heaven” (Alma 5:51). Repentance is an essential part of God’s plan. Because all would sin in our mortal experience and be cut off from God’s presence, man could not “be saved” without repentance (Alma 5:31; see also Helaman 12:22). To be cleansed by repentance, we must forsake our sins and confess them to the Lord and to His mortal judge where required (see Doctrine and Covenants 58:43). Alma taught that we must also “bring forth works of righteousness” (Alma 5:35). All of this is part of the frequent scriptural invitation to come unto Christ. 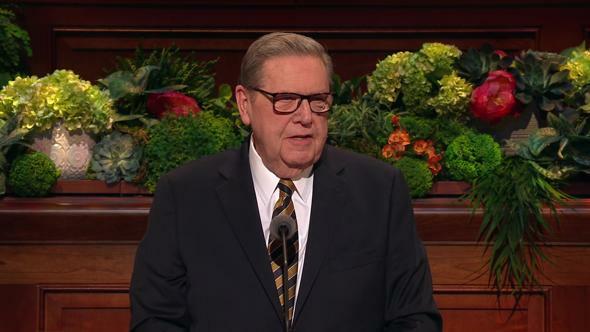 We need to partake of the sacrament each Sabbath day. In that ordinance we make covenants and receive blessings that help us overcome all acts and desires that block us from the perfection our Savior invites us to achieve (see Matthew 5:48; 3 Nephi 12:48). As we “deny [ourselves] of all ungodliness, and love God with all [our] might, mind and strength,” then we may “be perfect in Christ” and be “sanctified” through the shedding of His blood, to “become holy, without spot” (Moroni 10:32–33). What a promise! What a miracle! What a blessing! One purpose of God’s plan for this mortal experience is to “prove” us “to see if [we] will do all things whatsoever the Lord [our] God shall command [us]” (Abraham 3:25). As part of this plan, we are accountable to God and to His chosen servants, and that accountability involves both mortal and divine judgments. In the Lord’s Church, mortal judgments for members or prospective members are administered by leaders who seek divine direction. It is their responsibility to judge persons who are seeking to come unto Christ to receive the power of His Atonement on the covenant path to eternal life. Mortal judgments determine whether a person is ready for baptism. 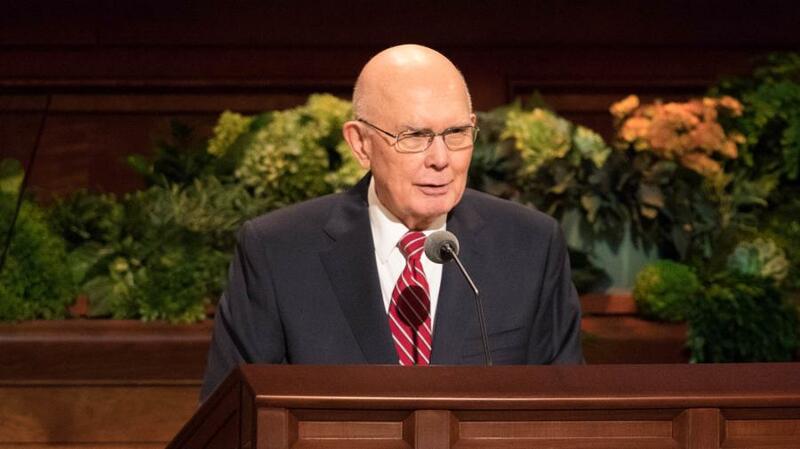 Is a person worthy of a recommend to attend the temple? Has a person whose name was removed from the records of the Church repented sufficiently through the Atonement of Jesus Christ to be readmitted by baptism? When a mortal judge called of God approves a person for further progress, such as temple privileges, he is not signifying that person as perfect, and he is not forgiving any sins. 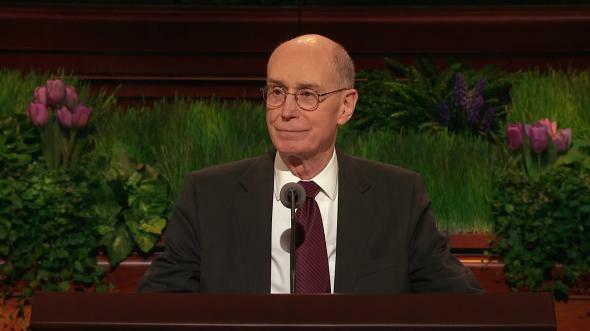 Elder Spencer W. Kimball taught that after what he called the mortal “waiving [of] penalties,” a person “must also seek and secure from the God of heaven a final repentance, and only he can absolve.”5 And if sinful acts and desires remain unrepented until the Final Judgment, an unrepentant person will remain unclean. The ultimate accountability, including the final cleansing effect of repentance, is between each of us and God. The judgment most commonly described in the scriptures is the Final Judgment that follows the Resurrection (see 2 Nephi 9:15). Many scriptures state that “we shall all stand before the judgment seat of Christ” (Romans 14:10; see also 2 Nephi 9:15; Mosiah 27:31) “to be judged according to the deeds [that] have been done in the mortal body” (Alma 5:15; see also Revelation 20:12; Alma 41:3; 3 Nephi 26:4). All will be judged “according to their works” (3 Nephi 27:15) and “according to the desire[s] of their hearts” (Doctrine and Covenants 137:9; see also Alma 41:6). The purpose of this Final Judgment is to determine whether we have achieved what Alma described as a “mighty change of heart” (see Alma 5:14, 26), where we have become new creatures, with “no more disposition to do evil, but to do good continually” (Mosiah 5:2). The judge of this is our Savior, Jesus Christ (see John 5:22; 2 Nephi 9:41). After His judgment we will all confess “that his judgments are just” (Mosiah 16:1; see also Mosiah 27:31; Alma 12:15), because His omniscience (see 2 Nephi 9:15, 20) has given Him a perfect knowledge of all of our acts and desires, both those righteous or repented and those unrepented or unchanged. The scriptures describe the process of this Final Judgment. 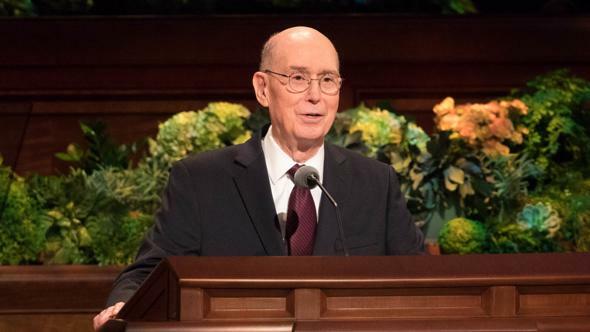 Alma teaches that the justice of our God requires that in the Resurrection “all things should be restored to their proper order” (Alma 41:2). This means that “if their works were good in this life, and the desires of their hearts were good, … at the last day [they will] be restored unto that which is good” (Alma 41:3). Similarly, “if their works [or their desires] are evil they shall be restored [to] them for evil” (Alma 41:4–5; see also Helaman 14:31). Similarly, the prophet Jacob taught that in the Final Judgment “they who are righteous shall be righteous still, and they who are filthy shall be filthy still” (2 Nephi 9:16; see also Mormon 9:14; 1 Nephi 15:33). That is the process preceding our standing before what Moroni calls “the pleasing bar of the great Jehovah, the Eternal Judge of both quick and dead” (Moroni 10:34; see also 3 Nephi 27:16). When we repent, we have the Lord’s assurance that our sins, including our acts and desires, will be cleansed and our merciful final judge will “remember them no more” (Doctrine and Covenants 58:42; see also Isaiah 1:18; Jeremiah 31:34; Hebrews 8:12; Alma 41:6; Helaman 14:18–19). Cleansed by repentance, we can qualify for eternal life, which King Benjamin described as “dwell[ing] with God in a state of never-ending happiness” (Mosiah 2:41; see also Doctrine and Covenants 14:7). As another part of God’s “plan of restoration” (Alma 41:2), the Resurrection will restore “all things … to their proper and perfect frame” (Alma 40:23). This includes the perfection of all of our physical deficiencies and deformities acquired in mortality, including at birth or by trauma or disease. Does this restoration perfect us of all our unholy or unconquered desires or addictions? That cannot be. We know from modern revelation that we will be judged for our desires as well as our actions (see Alma 41:5; Doctrine and Covenants 137:9) and that even our thoughts will condemn us (see Alma 12:14). 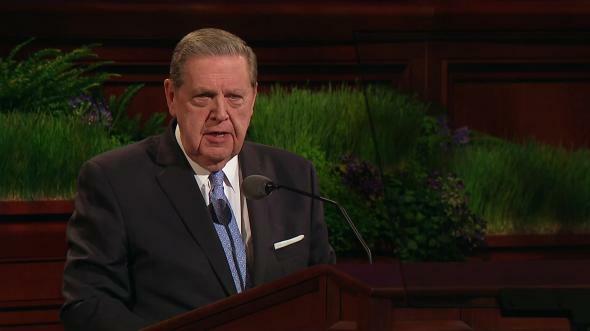 We must not “procrastinate the day of [our] repentance” until death, Amulek taught (Alma 34:33), because the same spirit that has possessed our body in this life—whether the Lord’s or the devil’s—“will have power to possess [our] body in that eternal world” (Alma 34:34). Our Savior has the power and stands ready to cleanse us from evil. Now is the time to seek His help to repent of our wicked or unseemly desires and thoughts to be clean and prepared to stand before God at the Final Judgment. 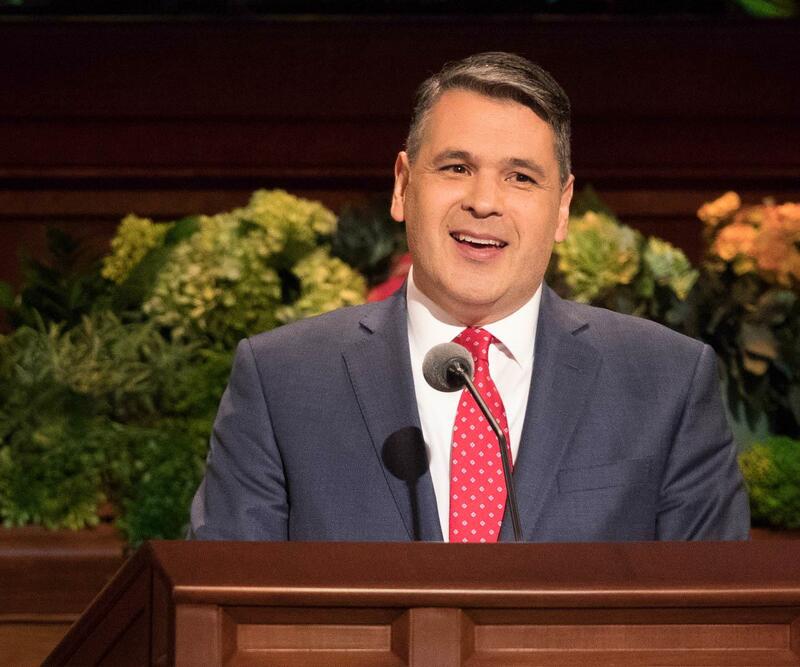 Because of God’s plan and the Atonement of Jesus Christ, I testify with a “perfect brightness of hope” that God loves us and we can be cleansed by the process of repentance. We are promised that “if [we] press forward, feasting upon the word of Christ, and endure to the end, behold, thus saith the Father: Ye shall have eternal life” (2 Nephi 31:20). May we all do so, I plead and pray in the name of Jesus Christ, amen. 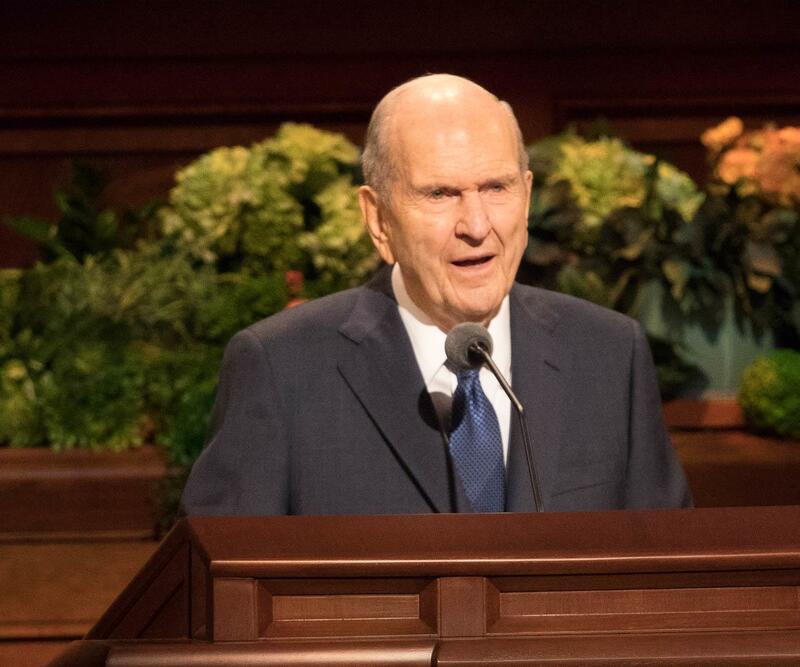 Russell M. Nelson, “Repentance and Conversion,” Ensign or Liahona, May 2007, 102. 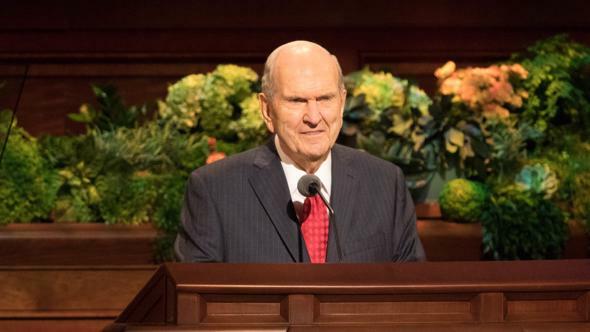 Russell M. Nelson, “Four Gifts That Jesus Christ Offers to You” (2018 First Presidency’s Christmas Devotional, Dec. 2, 2018), broadcasts.ChurchofJesusChrist.org. 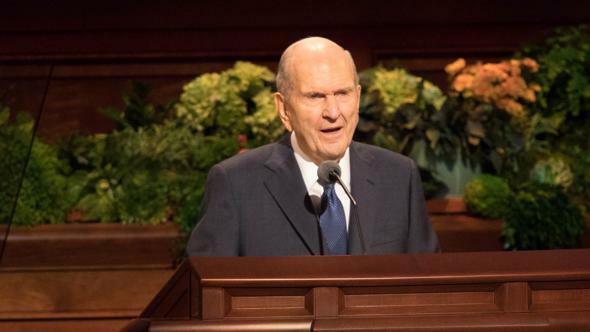 Russell M. Nelson, “We Can Do Better and Be Better,” Ensign or Liahona, May 2019, 69. 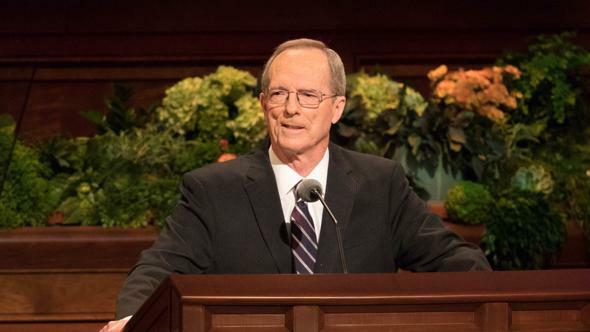 The Teachings of Spencer W. Kimball, ed. Edward L. Kimball (1982), 101. Melvin J. Ballard, in Melvin R. Ballard, Melvin J. Ballard: Crusader for Righteousness (1966), 212–13. See Tad R. Callister, The Infinite Atonement (2000), 27–29.